To most, elderly and nursing homes go hand in hand. But did you know when speaking with elderly people, one of their biggest fears is being placed into a nursing home? And who can blame them? When considering the psyche of an older senior, nursing homes or convalescent homes mean “end of life”. Yet with advanced medicine and more active lifestyles, seniors are living far beyond their expectations. 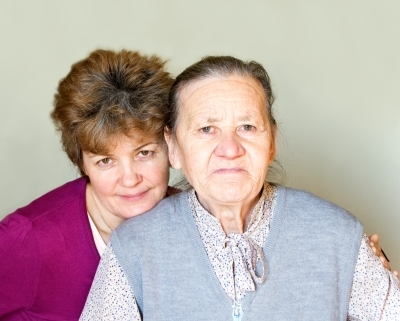 Often, adult children don’t know what to do as the needs of the parents increase, the home is no longer suited for their parent, and they do not have the funds or the time for in home care. This is where reverse mortgage becomes a very important option. Reverse mortgage is a great method to finance in-home care to avoid nursing homes, pay for medical care, or even fund home modifications. For seniors who are looking to situate long term and prepare to live their senior years in their own home, a move to a new residence closer to family or more suited for senior life may be in order. The Reverse Mortgage for Purchase is a perfect option for these situations. Reverse Mortgage for Purchase allows the purchase of a new residence using a reverse mortgage while still employing the perks of a traditional reverse mortgage – living mortgage payment free. In addition, reverse mortgages do not affect social security, pensions, or Medicare – and the money is tax free. Both Reverse Mortgage for Purchase and traditional Reverse Mortgages are available to seniors 62 and over, with no income or credit requirements. The borrower will live mortgage payment free, retain the title to the home, and will never be forced to leave. Just as with a home owned free and clear, the homeowner will still be responsible for property taxes, homeowners insurance, HOA fees, utilities, and general upkeep. Even married couples can both be on a reverse mortgage and the loan doesn’t come due until the last borrower permanently leaves the home. 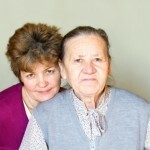 In-home care is definitely the first option that needs to be considered. You want your elderly loved ones to still have some independence if they are able to and in-home care providers can provide the necessary assistance. We hired an in-home care service for our grandmother and it has been a blessing. When we are unable to help with certain things they are there for her and us.